The most famous of the Golden Lambs Ghosts is Sarah…hell she still has her own room there. She was the niece of one of the inn’s managers, and though she didn’t die as a child, some believe she haunts the inn anyway. I guess she grew up there, and had her own room, which was moved at some point. So now she’s said to show her disapproval of the new room by moving pictures and stuff. 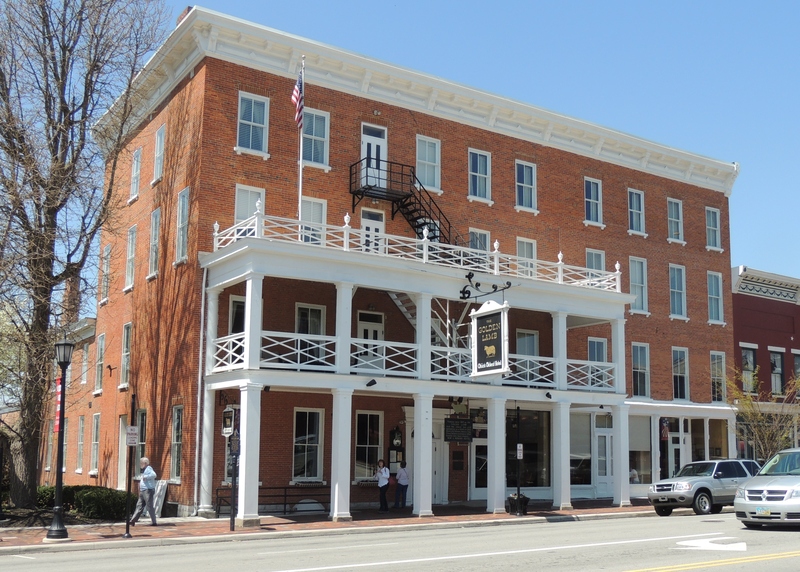 The other ghost who is believed to hang out there is Charles R. Sherman, an Ohio Supreme Court Justice who died at the inn in 1829. He is said to hang out in the hallways, and leave the smell of cigar smoke in his wake. I’ve visited the Golden Lamb twice, but I’ve never spent the night there. In fact, on my first visit several years ago, I wasn’t even aware it was still a working inn, just a restaurant and museum type place. So while I was upstairs looking around, I made a comment about it annoying me that some of the room doors were closed, preventing us from seeing the rooms. Finally, I decided to open one up, and, of course, that’s when I learned it was still in operation as an inn. Needless to say, I didn’t open any more doors. What has been seen can not be unseen! Take I-71 north, Take exit 28 to merge onto OH-48 N toward Lebanon. Take the OH-123 ramp to OH-48/US-42 S/Lebanon. Left on Main Street. It’s on the corner of Main and N Broadway Street. This is a functioning restaurant and hotel, but I don’t think they want you there after business hours unless your staying there. Worked there back in the early 80s for three years, the dining rooms were creepy, I hated to close, and the bar area I didn’t like at all! I stayed the night here late last Summer. I was very skeptical about any hauntings as I have never had an experience. My whole thought process changed after that night. I stayed in the Ronald Reagan room which is located on the 4th floor. During the night my sleep/REM I experienced a very real party taking place in a different time, Piano/laughter and people talking. Very busy. I then had an experience of a black shadow figure that was trying to pin me down, choking me. I would wake up briefly and as soon as I fell back asleep it would return. Very disturbing.